Notes below. Happy New Year! Feel free to use this as an open thread for tonight’s two college football playoff games. Yes, after days of talking about the O-line, the running game and interior pass rush — in this mock the Seahawks take a linebacker in round one. Here’s the thing. A lot of the guys we’ve talked about being possible targets for the Seahawks are rising up the board. Garett Bolles looks like being a top-20 lock. I’d love to continue to pair him with the Seahawks — but is it realistic? Even if someone like Vita Vea declares — he’ll likely head straight into the top-20 because he might be Haloti Ngata. I could’ve given them a different defensive lineman or D’Onta Foreman — but I need to see their combine workouts to fully understand if they’ll be targets or not. Troy’s Antonio Garcia is said to be a big riser according to Tony Pauline. Yet there’s very little tape available online at the moment. The one thing you can always fall back on with the Seahawks is they love grit, beating adversity, freaky athleticism and production. At his junior pro-day he reportedly ran a 4.47 at 6-1 and around 230lbs. He also supposedly had a 10-10 in the broad jump and a 36-inch vertical. We’ll have to see if Reddick can back up the numbers above — but there’s your comparison. In High School, Reddick suffered a fractured femur and missed an entire season. Upon his return, he suffered a torn meniscus. With no tape to impress potential landing spots in college, he went to Temple University with the intention of becoming a regular student. His father grew up in Camden with one of the Owls’ assistants — Francis Brown — and put in a good word for him. He was offered the chance to walk-on. Even then it wasn’t plain sailing. He was told there was no place for him on the team. A change of coaching staff from Al Golden’s crew to Matt Rhule’s led to one last chance and he took it and eventually earned a scholarship. If they’re looking for an impact player with great athleticism that has battled adversity — Reddick could be a target. He’s accepted an invite to the Senior Bowl where he’ll have a chance to bolster his stock. A few weeks ago we talked about being able to possibly draft Garett Bolles, Haason Reddick and Shalom Luani in the same draft class. They could all end up in the top-50 by the end of April. I know this won’t be many people’s ideal scenario. That’s not the point though — we’re here to look at different options and possibilities. With two quarterbacks (Trubisky, Watson) off the board there’d be every chance. Some teams will want a shot at Deshone Kizer. What would this mean in terms of Seattle’s big needs? They’d still have a second rounder to get an impact player — but if they’re picking someone like Reddick they likely would’ve filled some needs in free agency. Were they able to land an interior disruptor like Calais Campbell? Some veteran help for the O-line? Add a physical running back? It’d be a lot of work to do in free agency — but not impossible. And any one of these needs could still be addressed in rounds two or three. The Seahawks are expected to receive an extra third round compensatory pick. Who might they target later on? Bradley Chubb (DE, NC State) — he’s 6-4 and 275lbs with the tools to be an inside/out type rusher. He had 21.5 TFL’s this year and 10 sacks. The 21.5 TFL’s are the second best in school history behind Mario Williams’ 27.5 in 2005. He’s the cousin of Georgia running back Nick Chubb. We know Chubb had an explosive performance at his Nike SPARQ Combine so there’s a chance Chubb will have an exciting physical profile too. Shalom Luani (S, Washington State) — Exciting, underrated safety with the range to cover a lot of ground quickly and the physical toughness to play up at the LOS. His backstory is the definition of grit and he could easily be a fast riser into the earlier rounds. If the Seahawks want to tap into a strong safety class and get some quality depth for Earl Thomas and Kam Chancellor, this could be their guy. Forrest Lamp (T, Western Kentucky) — Probably more of a guard at the next level, Lamp came to prominence with a strong performance against Alabama earlier this year. The Seahawks want intelligent, explosive offensive linemen. We’ll see if Lamp has the physical profile at the combine — but his personality and character will be very attractive to teams. Adam Bisnowaty (T, Pittsburgh) — He was a highly rated four-star recruit in High School with a wrestling background (something we know Tom Cable likes). He could compete at tackle or guard. He wears Evan Mathis’ #69 and there are some similarities in their style. Tony Pauline has compared Bisnowaty to Ricky Wagner — a free agent-to-be from Baltimore. Dalvin Tomlinson (DT, Alabama) — Massive, athletic defensive tackle from a system we know the Seahawks appreciate. Great character, has battled some adversity. Talented musician and artist too. Not the best pass rusher but could forge a solid career as a Tony McDaniel type. Chad Wheeler (T, USC) — At times really looks the part of a future pro tackle. Consistency isn’t always there and he has a tendency to lunge. If he can correct the technical issues he has a skill set worth monitoring. One to watch at the combine. Elijah Qualls & Greg Gaines (DT’s, Washington) — Reports suggest Vita Vea won’t declare but it’s not clear what Qualls and Gaines intend to do. Both are really disruptive nose tackle types, capable of causing problems in the passing game and not just the run. You could include others too. Dorian Johnson, Dan Feeney, Caleb Brantley, Chris Wormley, Dion Dawkins, Taylor Moton to name a few. The combine will reveal a lot as usual. We’ll have a better idea of the names to watch. Derrick Nnadi announced after FSU’s Bowl victory yesterday he won’t be declaring for the draft. Who moves up in the mock? Solomon Thomas was outstanding in his Bowl game against North Carolina. He completely dominated throughout, making several splash plays including the game decider. On that evidence he’s going in the top-15. No doubt about it. Taco Charlton was very productive against Florida State. Missouri’s Charles Harris hasn’t had much attention this year but teams will love his skill set and profile. Both will likely go in the top-25. I prefer Garett Bolles to Ryan Ramcyzk but won’t ignore the noise that Ramcyzk is highly rated. Bolles’ age might be an issue for some teams (25 in May) but he should still crack the top-20. Why aren’t you dropping Jabrill Peppers like everyone else? Myles Garrett had 15 TFL’s in 2016. Guess how many TFL’s Jabrill Peppers (a safety/linebacker) had? He also had 3.5 sacks, seven QB hurries, an interception, a punt-return score and he averaged 6-yards per touch in the running game on offense. Peppers was highly involved in virtually every Michigan game. He doesn’t have eight picks like Earl Thomas in his final year at Texas — but he still found a way to have a major impact. Michael Bennett’s contract extension (worth $31.5m) is interesting for two reasons. Firstly, it suggests the Seahawks are still extremely committed to their current core. Despite a somewhat difficult 2016 season (that has, admittedly, still resulted in a playoff berth) there doesn’t appear to be any rush to make changes and freshen things up. Secondly, Bennett’s deal helps establish a market for his peers. Arizona’s Calais Campbell is only a year younger and has a similar reputation. This could easily be used as a starting point for his talks with the Cardinals. The only other thing to consider with Campbell is his current salary. In 2016 his cap hit is $15.25m. It was $14.75m in 2015 and $11.25m in 2014. So while Bennett is gradually increasing his salary, Campbell is in a different position. Will he accept a pay cut to stay in Arizona aged 31? Or will he want to test the market? The Seahawks stand to have at least some interest in Campbell if he becomes a free agent. He’s terrorised their offense for years and he has the kind of height and size they like in the interior. Adding an interior disruptor to the defense is likely to be one of the priorities in the off-season. 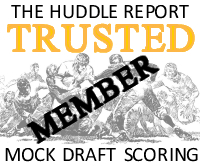 The three we’ve talked about — Campbell, Kawann Short and Dontari Poe, stand out on that list. We won’t know the extent of Bennett’s cap hit in 2017 until the signing bonus is revealed. They should, theoretically, have room to make a free agent addition on the O-line and D-line if they want to. It depends how aggressive they want to be — and how much they want to look at other positions (eg running back). It’s also a reasonable draft class for defensive linemen. There’s a desire to pin all of the problems on the offensive line and that’s somewhat justifiable considering the first half of the Arizona game. Yet it also feels like the Seahawks have not trusted their running backs to be a focal point. Whether that’s injuries, form, inexperience or something else. They’ve not committed to the run, as we discussed yesterday, and it might be much more to do with the running backs than people think. For example — the Seahawks have arguably tried to put the offensive performance in the hands of their stars. Russell Wilson, Doug Baldwin and Jimmy Graham. Let those guys carry the offense. And yet because the O-line has been so suspect in pass protection, we’ve seen lurches between explosive production and hopelessness. If they had a reliable running back on the roster, a star of equal importance to the three names above, they might’ve gone in a different direction. How often did they simply resort to ‘lean on Marshawn’ in the past? It was frequently a catalyst for the offense — and the O-line — finding some form. It’s unfortunate that 2017 might end a run of viable veteran options being available via trade. In 2015 the Bills made a deal for LeSean McCoy, swapping him for linebacker Kiko Alonso. What a bargain that was. Earlier this year the Titans acquired DeMarco Murray from Philadelphia for a swap of fourth round picks. Again, what a bargain. Both of these trades, and Seattle’s move for Marshawn Lynch in 2010, show the value of acquiring high talent (and proven production) at the running back position. There aren’t many great backs in the league. It’s really difficult to identify a potential trade target for 2017. Someone capable of providing impact talent so the team isn’t having to rely on the draft or their injured incumbents providing a definitive solution. Cincinnati’s Jeremy Hill might be available — but his production has completely dropped off after an impressive rookie season. This article details his rise and fall. Mark Ingram has occasionally found himself in the doghouse in New Orleans — remember his disappearing act after a fumble against the Seahawks? What type of compensation would be required though, considering there’s little reason for the Saints to let him go on the cheap? LeVeon Bell is set to be a free agent — but surely Pittsburgh will at the very least give him the franchise tag? Adrian Peterson will need to decrease his $18m salary for 2017 to stay in Minnesota. He could provide an X-factor for one year on say a $6m deal if released. Vikings rule out RB Adrian Peterson for Week 17. There's a good chance his appearance against the Colts was his last as a Viking. Over the cap suggested recently that Carolina could part ways with Jonathan Stewart. Pete Carroll has often expressed his admiration for Stewart going back to his PAC-10 days. However, with an estimated $62.7m to spend in 2017 — what motivation is there for the Panthers to part ways with a productive stalwart with an $8.25m salary? LeGarrette Blount is 31 next year but coming off a great season in New England. His deal in 2016 is only worth $1m unbelievably. He might be an option on a one or two year deal without breaking the bank. The draft could also provide a solution — but it’s quite a maddening draft class. Players that are decent but not overly exciting. Players with question marks (how good is D’Onta Foreman?) and two guys at the top of the class who just look spectacular (Fournette & Cook). This probably isn’t about mere depth at running back. This team arguably requires someone capable of being a genuine X-factor. And assuming the Seahawks O-line won’t suddenly turn into the Cowboys front five over the summer — probably someone capable of creating something out of very little occasionally. Which, believe it or not, is possible beyond Marshawn Lynch. Has lack of commitment to the run hurt Seattle’s O-line? Have the Seahawks committed enough to their running game this year? Time for a different angle on all the O-line talk. I mentioned in the podcast yesterday something that possibly doesn’t get brought up enough. Are some of the problems on the offensive line self-inflicted? After all, this is a team that for years has sought to be committed to the run. To an extent the players they’ve added were brought here to run block first and foremost — to carve out Seattle’s key identity on offense. Has it ever felt like this team truly committed to the run game at any point in 2016? The Seahawks have drafted some of the most explosive players in the draft in recent years to play on the O-line. When we put together our Trench Explosion Formula to judge draft prospects, we went back and looked at Seattle’s previous picks. The results showed a concerted effort to target explosive, physically dominant players to compete in the trenches. Seattle’s guards and center are arguably the most explosive trio of linemen in the league based on their pre-draft testing. This isn’t a finesse group of guys. They’re made for running the ball. In the pre-season we saw an interior blowing people off the LOS and creating nice lanes for Christine Michael. We saw clever misdirection plays, big yardage. A group that looked ready to set the tone during the regular season. And yet here we are, heading into the final weekend of the NFL season and the Seahawks are 19th in the league for total number of runs (378). The Dallas Cowboys, ranked first, have run the ball exactly 100 more times than the Seahawks. Even the New England Patriots are #3 on the list with 453 attempts. Alternatively, the Seahawks are #12 in pass attempts. Dallas are at #19. You’d never imagine these numbers watching the Seahawks between 2012-2014 or listening to the way Pete Carroll talks about his vision for this franchise. Can a case be made that the Seahawks could’ve made life easier for this young, inexperienced group by dedicating their offense to the run? Emphasising their physical traits and covering up some of their technical weaknesses and lack of understanding? Have they damaged the confidence and psyche of the unit by asking them to pass protect a lot, considering the widespread criticism that has followed? Have they abandoned the run too early in games and almost ignored it in others? There might be reasons for this. Injuries to the quarterback and how defenses have adjusted when playing Seattle. Losing Russell Wilson’s run production. Injuries at running back. The way certain games have flowed (eg needing to come from behind). Have they ever truly trusted the running backs? Christine Michael was cut, Thomas Rawls and C.J. Prosise injured and it took another spate of injuries for Alex Collins to get any kind of significant work. None of this excuses the poor play in 2016 — but has progress stalled because the Seahawks have not focused on the one thing they’ve done well for years and arguably drafted these guys to do? Also note the way Gilliam drives his man off the LOS to create a nice big lane for Alex Collins. This was a run play. Ifedi: Who should I block??? This is a pass. Ifedi doesn’t know his assignment and has to ask Justin Britt what to do. Britt points at one guy but it’s too late. Ifedi is lost and doesn’t block anybody. It’s a small sample size of course but it kind of highlights how green this O-line is. They don’t even fully understand what they’re supposed to do. With three first time starters including rookies at right guard and left tackle — this has probably happened a few times this season. And yet physically they’re good enough to just get out there and execute a run play against a big, aggressive Arizona defensive front and look really good doing it. Should they be leaning on the physical upside of these guys instead of trying to master pass-protection? Should they be committing, universally, to the running game to make life easy for them? It’s too late now, going into week 17, to really feel the benefit of such a commitment. Had they done this after the Tampa Bay game we might’ve seen a 2014 style ‘slug fest’ end to the season and an offense that at least is not a hindrance (as it has been in several games). Hindsight is a wonderful thing — but I suspect they’d rather be in the top-five for rushing attempts right now than #19 and live with the results. Maybe they’d be a bad running team still? At least we’d know. They might actually have an offensive identity. They might actually have a consistent offense. What they actually have is a hotchpotch of parts. They’re not doing anything particularly well game-to-game. Given everything we’ve heard about the importance of the run to this team since 2010 — it feels like a mistake that with this O-line they didn’t just commit to their physical upside. What are the consequences? The clamour in the off-season will be for the Seahawks to spend big on the O-line in free agency. Find immediate quality starters in the hope expensive talent will give the team a quick fix. It’s a shame really because it’s clear there is talent and potential with the existing starters. And the plan, we all believed, was to create an O-line that could grow together and be good for years at an inexpensive price. It’ll be a hard sell to stand by this group going into 2017. Not just with fans — but also probably with the more outspoken members of the team. 2016 has the feel of a potential lost season. They don’t want to go through this again next year. And yet you might be giving up on them because of a self-inflicted crisis. They might actually be the answer, believe it or not. Some further investment would be needed of course. I still think Utah’s Garett Bolles could be the ideal first round pick for this team. They might not get a chance to select him — he is that good. There are others though. The middle rounds of the 2017 draft should provide some nice options too. However, with the 2016 performance so far you imagine they’ll feel obliged to open the cheque book and be aggressive. Or make trades. Anything to extend the Championship window. This won’t necessarily be the answer either. According to Football Outsiders, Minnesota’s O-line is 30th in the run game and 19th in the passing game. Their big off-season moves included signing Alex Boone and Andre Smith. Combined the pair cost $11.2m in 2016. In comparison, Seattle is ranked 26th and 25th for running and passing respectively. The teams at the top of the rankings are generally sides with home-grown O-lines. Dallas, Pittsburgh, Washington, New Orleans, Tennessee. Units crafted over time with a bit of experience thrown in for good measure. So while it will be attractive to many to go out and spend, a greater commitment to running the ball in 2017 and further investment via the draft might not be the worst thing for this side. Whether they can justify that — internally or externally — is another thing completely. Especially this team, determined to win now and needing to address other needs too such as the defensive line or a defense in general that is enduring a historically bad year for turnovers. Podcast: Make a move for Adrian Peterson? This week Kenny and I discuss who the Seahawks will meet in the playoffs and Seattle’s issues with the running game. In the conversation I make reference to this article by ESPN’s Chris Sprow, reviewing the biggest decision each team in the NFL faces during free agency. The article suggests the Vikings have to decide on Adrian Peterson’s future at the end of the season because he’s due a bloated salary. If he’s released, should the Seahawks consider adding him to get some star power in the backfield? Would it help repair the running game in 2017? Your leading rusher has 469 yards and was cut weeks ago. You own the 22nd best running game in the NFL. That is not Seahawks football. This team is built on connections. The offense runs the ball and sets the tone, that in turns creates openings for explosive plays in the passing game. Dictating to the opponent on offense helps the defense play in ‘their style’, without needing to be overly exotic or creative week-to-week. If you can rush with four, it helps the coverage unit for obvious reasons. Everything is connected. This year, one factor is completely absent and it’s probably why we’ve seen so many inconsistent aspects of the team overall. They can’t run the ball. In some cases, they refuse to. First and foremost, this situation has to be addressed in the off-season. It’s the priority. Everything else can wait. The 2017 Seattle Seahawks have to be a better running team. Pure and simple. When faced with such a glaring need in the past, they’ve been aggressive. So what are some of the options? Surely the O-line needs major work? Yes, based on what we’ve seen in 2016. Yet here’s the conundrum facing the Seahawks. They clearly wanted to build a line that could grow together. For years they’ve faced annual changes — and consistency is so important for this unit. Finally they had a young, athletic, big, explosive group. It’s also a cost-effective group. Ideally they would spend the next 3-4 years playing together, developing, improving. For now all they had to be was competent and not hurt the team. If anything they’re getting worse week by week. So what do you do? Show faith that they’ll come good over time, as per the original plan? Make a few extra additions in the draft and punt for competition being the key? Or do you see a rapidly closing Championship window and go bold, tear up the plan to develop your own players and try and find a quick fix? There isn’t really an ideal solution. Who is a keeper and who could be replaced? Justin Britt has played well enough to keep his place at center but the other four spots could be up for grabs. George Fant has shown some potential given his incredible lack of football experience. Yet there’s nothing to suggest we’re seeing the early signs of a blossoming NFL career. Can you rely on Fant for the future? It’s hard to say you can. Mark Glowinski hasn’t been great despite his redshirt season in 2015. Germain Ifedi has not shown signs of progression either. And the right tackle spot has to be addressed. So who is young and just needs time and who isn’t good enough? Good luck working that one out — because they probably aren’t going to be able to replace four players. According to Spotrac, the Seahawks have an estimated $40m in free cap space for 2017. Assuming Michael Bennett and Kam Chancellor receive contract extensions, they probably won’t be able to spend all of that. But they’ll have enough for at least one, if not two, crucial acquisitions. Warmack and Jonathan Cooper were unique prospects in 2013. It’s not often you see pure college guards going in the top-10. Brandon Scherff, who ended up at guard for Washington as a top-five pick, played tackle at Iowa. Few players have looked more of a sure thing than Warmack — a dominant force of nature at Alabama. His combination of size (6-2, 317lbs) and length (35 inch arms), matched up with his physical ability made for a very intriguing prospect. Mike Mayock considered him the best player in the 2013 draft. Todd McShay compared him to Steve Hutchinson. He didn’t do many workouts at the combine but did manage a 9-2 in the broad jump. Strangely, his NFL career has been quite middling. It might be that he just isn’t all that good. In college his physical talent overwhelmed opponents but in the NFL, against the best of the best, he doesn’t stand out. That said, whether it’s in Tennessee or somewhere else, someone is going to give him a second chance to deliver on his potential. And he might not be quite as expensive as the next man on the list. The Bengals are notorious non-spenders in free agency. They pick and choose who they pay — so while Andy Dalton, Geno Atkins and A.J. Green have remained in Cincinnati, others have surprisingly moved on. Whether they feel like a major investment is worthwhile at the guard spot remains to be seen. They’re a hard team to read. They’ll have approximately $8m more than Seattle’s estimated $40m to spend in 2017 so money isn’t an issue. Their unwillingness to splash it around might be. Wilson could be an X-factor in recruiting Zeitler if he reaches free agency (and the Seahawks wanted to make a move like this). How good is he? One of the best in the NFL at his position. This breakdown of his performance vs Pittsburgh is worth a read if you want to find out more. Osemele and Brooks were both free agents in 2016 and joined new teams. So you’re looking at a contract that fits somewhere between the two ($8-12m). Zeitler should be able to generate a deal worth $10m a year. If the Seahawks signed him on that type of contract, only Russell Wilson, Richard Sherman and Earl Thomas would be earning more (unless Michael Bennett and/or Kam Chancellor top the $10m mark if/when they get new deals). They can afford it, with nearly $40m to spend. But would they be willing to spend that much on a guard from another club? On the one hand, Zeitler only turns 27 in March so he’s hitting his peak. The Seahawks paying for a player entering his prime isn’t unrealistic. He doesn’t, however, have a particularly stunning physical profile. His arm length is 32 3/4 inches (short). He didn’t top a 9-0 in the broad (8-5) or a 30 inch vertical (29 inches) at the combine. So is he just a gritty, talented player capable of playing for years — or will he hit a wall sooner than other players? I haven’t studied him enough to know the answer to that. He will be the best O-liner on the market if he reaches free agency. The Seahawks, perhaps feeling like they need an injection of experienced talent there, could be aggressive. It could also create a scenario where they move Germain Ifedi to right tackle, possibly filling another need on the outside. The Cowboys clearly wanted to push La’el Collins into a starting role, yet injuries put paid to that plan. Leary has filled in again on a restricted free agent contract and delivered. The question is, how talented is Leary? Does he do a good job next to three first round picks, three of the best in the league (Smith, Martin and Frederick)? Or is he just as important to Dallas’ success up front? Bryan: I agree with you about Ronald Leary and the way that he has played. I also agree with you about signing Zack Martin long-term, but I don’t see that with Leary — especially with La’el Collins waiting. They had a chance to re-sign Leary in the offseason to a deal and they didn’t do it — that tells me all that I needed to know about that situation. They are going to ride this out with Leary and work with Collins next season. David: These are the limitations of the salary cap era. The Cowboys are likely going to be paying top dollar to Tyron Smith, Travis Frederick and Zack Martin. Can they really afford to give another big-money contract to Ron Leary? I doubt it. Not with La’el Collins as a younger and cheaper option. Leary has been drastically underpaid since 2014, and he’s going to want to maximize his value this spring. I don’t blame him one bit, and I don’t think the Cowboys do either. Leary was an undrafted free agent out of Memphis in 2012. The reason he wasn’t picked? It was discovered he had a degenerative left knee condition called osteochondritis dissecans. It could shorten his career — and for that reason he might not cash in during free agency. He might end up signing a shorter, more modest contract than Zeitler or Warmack. He’s 6-3 and 320lbs and turns 28 at the end of April. Alex Boone, a free agent this year at the age of 29, signed a contract worth $6.7m a year on average with the Vikings. That could be the kind of range Leary is looking at as a free agent. J.R. Sweezy’s contract is worth $6.5m a year. There’s more of a mystery to Leary (can he excel without the rest of Dallas’ O-line, how healthy is the knee?) so that could impact his value. Teams will look to mimic the Cowboys O-line given their record this year — so Leary could be in demand. What about lower down the market? The Seahawks have identified fits in the past, with mixed results. Breno Giacomini wasn’t a big name when he moved to Seattle but since he departed, it’s been a game of musical chairs at the position. Paul McQuistan was a reliable figure at guard or tackle. Yet the additions this year — Bradley Sowell and J’Marcus Webb — have not performed as well. It stands to reason they might go shopping for a bargain veteran or two to add to the competition. It’s hard to get excited about the free agent options. Matt Kalil has been a flop in Minnesota — but Pete Carroll recruited him and knows his game well. Detroit drafted Taylor Decker because they weren’t satisfied with Riley Reiff’s play at left tackle. Andrew Whitworth is playing well but he’s 35. Sebastien Vollmer, it has been suggested, might retire at the end of the season. Menelik Watson could be an option as could another former team mate of Russell Wilson’s at Wisconsin — Baltimore’s Ricky Wagner. Watson and Wagner are both, however, the type of solid but unspectaular player you appreciate on a rookie contract. Are you willing to pay either millions as a free agent? The problem with relying on the draft is you’re just adding more inexperience to the line. And because the Seahawks can pick no lower than 21st overall, there’s a strong chance they won’t be able to pick a really talented player anyway. Garett Bolles is the best bet. A player who will be 25 in May, has a supreme physical skill set and looks exceptional on tape. His nasty demeanour, talent, athleticism and attitude would be an ideal early pick for this team. I suspect, unfortunately, he’ll end up going in the top-20 if he declares. A team like Denver, having missed out on the playoffs, would be a good landing spot for Bolles. He could end up rising into the top-10. Ryan Ramcyzk is being highly touted by many and could also go early. The options beyond round one are not unfavourable. At guard you’ve got Dorian Johnson, Dan Feeney, Forrest Lamp and Damien Mama. At tackle you’ve got Adam Bisnowaty, Chad Wheeler, Dion Dawkins and Taylor Moton — four players who could all kick inside too. I’m yet to watch Troy’s Antonio Garcia or Mississippi State’s Martinas Rankin — two players highly rated by Tony Pauline’s sources. What might be the ideal situation? A combination of draft and free agency. Maybe you go for experience and try and make a couple of splashes? There is something appealing, I suppose, about the idea of two of Russell Wilson’s college linemen rejoining him in Seattle (Zeitler and Wagner). If you can follow that up by drafting someone like Garett Bolles — the line would be getting two proven veterans and college football’s best offensive tackle. It just seems increasingly unlikely that Bolles will be available for Seattle. This is a difficult one — and a topic that will divide opinion between fans. In the last 12 months both Thomas Rawls and C.J. Prosise have been dynamic, exciting… and injured. You don’t want to give up on either or write them off. Yet you equally want more from the position. The Seahawks offense has never had a dominant O-line during the Russell Wilson era. They have had a dominant running game though. We all knew life after Marshawn Lynch would be difficult. It still feels like they’re trying to work out the plan moving forward. Unfortunately they might never be able to rely on Rawls and Prosise to carry the load. You might need to limit their snaps, manage their workloads and keep them healthy. They can still have a vital role on the offense — but do they need a bell cow runner in 2017? Melvin Gordon was on pace to be among this group too before his injury — he was also a first round pick. Plus Marshawn Lynch, the man they’ve had to replace, is a former #12 overall pick. And let’s not forget Adrian Peterson either, a #7 overall pick back in the day. The Seahawks probably need to keep adding talent until they find a guy they can lean on. And that means considering another pick in the first three rounds at this position. Several backs aren’t turning pro, including Royce Freeman, Elijah Hood and Nick Chubb. It’s cut the depth overall and could bump other players up a round. Clearly the top two are Leonard Fournette and Dalvin Cook. I can imagine the Seahawks liking both. Fournette for his unreal combination of physicality, size, athleticism and attitude. He’s pretty much the ideal back for this situation in Seattle. Cook is more of a Jamaal Charles type but he’s an explosive playmaker. Both will probably be out of reach. Yet if the Seahawks want to be bold and aggressive, who knows? Certainly if they end up picking 21st or 22nd it’d be easier to pull off an Atlanta/Julio Jones type move compared to picking between #29-32. D’Onta Foreman could go in round one or he could go in round three. I’m still undecided on how good he is. Foreman’s ability to run away from defenders or bounce runs outside and explode is impressive for his size. His combine performance will be fascinating. Yet he doesn’t necessarily make the most of his size either. He’s not a monster like Fournette. Christian McCaffrey is a wonderful player to watch. An exciting playmaker. But is he the type of back Seattle needs right now? Samaje Perine is a good athlete for his size. He’s better than D’Onta Foreman running up the middle but Foreman is better at turning the corner and bouncing outside. Perine’s awful with the media, he’s constantly in a bad mood. Some people will like that. He could be an option in rounds two or three. Boise State’s Jeremy McNichols and BYU’s Jamaal Williams could be two names to watch. There are others too — but these are the players perhaps most likely to go in the first three rounds. Let’s also include free agency and trades in this situation. They might regret not doing more than dipping their toe in the water for DeMarco Murray last year. Le’Veon Bell will likely stay in Pittsburgh one way or another — possibly on the franchise tag. Yet at the moment he is set to be a free agent and would interest a ton of teams. Eddie Lacy has health and weight issues — but he too will be a free agent. Will New Orleans consider dealing Mark Ingram? Or Carolina Jonathan Stewart? There aren’t many appealing big names likely to be on the trade block, unlike last year with Murray. And unless Bell somehow reaches the market — all signs point to the draft for the Seahawks. This a team that puts such a focus on the run game being integral to their identity. It is more important to them than it is to a lot of other teams. Settling just isn’t an option, especially with the meagre production in 2016. Whatever happens during the rest of this season — this feels like an area they will focus on hard during the off-season. O-line, running back. They cannot have a repeat of this year. In the last two years, Jeremy McNichols has exactly 3000 rushing yards and 43 rushing touchdowns. He also added 910 receiving yards and another 10 scores. He’s listed as 5-9 and 212lbs but he plays tough. There are some similarities to the guys he replaced at Boise State — Jay Ajayi and Doug Martin. This season has been one of growth for McNichols, who was open in the offseason about all the areas in which he wanted to improve. He discussed running smarter to avoid injury and has not missed a game. He wanted to improve as a blocker, so he has sat in on film study sessions with the offensive line. He aimed to gain good weight and added about 10 pounds, enabling him to break tackles while still breaking big runs. McNichols and Boise State play Baylor in the Cactus Bowl tomorrow. Take a look for yourself in the video above. He’s a name to monitor with the Seahawks likely to add a running back at some point during the off-season. Merry Christmas to everyone. For those needing something to read to enable them to move on from the Arizona game, I hope this helps. Even playing as poorly as they have been recently, the chance to get the #2 seed offered some cause for optimism for Seahawks fans. That situation has changed massively in light of the Arizona game. It wasn’t beyond the realms of possibility that even this disjointed version of the Seahawks with so many injuries and issues could win one home game and pull off a win in the NFC Championship game. Are they capable of winning two road playoff games, after negotiating the wildcard weekend? So far they’re 0-4-1 on the road in the NFC and in the last five weeks they’re 2-3, including their worst defeat in five years. There’s no point in giving up on the season completely. This is a weird year in the NFL. On Christmas Eve, Oakland fans woke up dreaming of the Super Bowl. On Christmas Day, they were grieving for their quarterback’s broken leg. The Tennessee Titans, one of the hottest teams in the NFL, started Christmas Eve with a great chance to make the post season. By Christmas day, that wasn’t possible and their bright, young franchise quarterback also has a broken leg. The 9-7 Giants won the Super Bowl in 2011 in a year that included a four-game losing streak between weeks 10-13. In week 15 they were well beaten at home by a 5-11 Washington team 23-10. They got hot at the right time. If you want a reason to believe Seattle still has a chance, there’s your ammunition. Yet it still feels unlikely, or perhaps more pertinently, it needs to be seen to be believed. We’re at week 16 and there’s no signs of improvement on the O-line. The glass cannon theory rings truer than ever. The defense is streaky and missing a generational safety. And it means, sadly, there’s little cause for optimism. An offense that was at its best based on ball control, physicality and putting the team in a position to win the game in the fourth quarter is now highly dependant on the passing game. Seattle’s offense between 2012 and 2014 could be defined as conservative plus. They often played for field position. A punt was not their enemy. Yet this was offset by the most creative point guard quarterback we’ll ever see and a punishing ground game. The Seahawks were explosive and modest in equal measure. And with a stern defense, it was a classic winning combination. In the last two seasons, that has completely changed. They’re more like every other team in the league with a franchise quarterback. They throw to try and win. Except unlike a lot of other teams, this is a much more volatile proposition. I’m going to reference the glass cannon again. When things work, this offense is extremely entertaining and prolific. The collection of talent — Wilson, Graham, Baldwin, Lockett — is ideal for an explosive, attacking passing game. Yet because the O-line and running game is so poor, it’s been boom or bust all year. The cannon can fire away with reckless abandon but one chip or chink and it cracks. 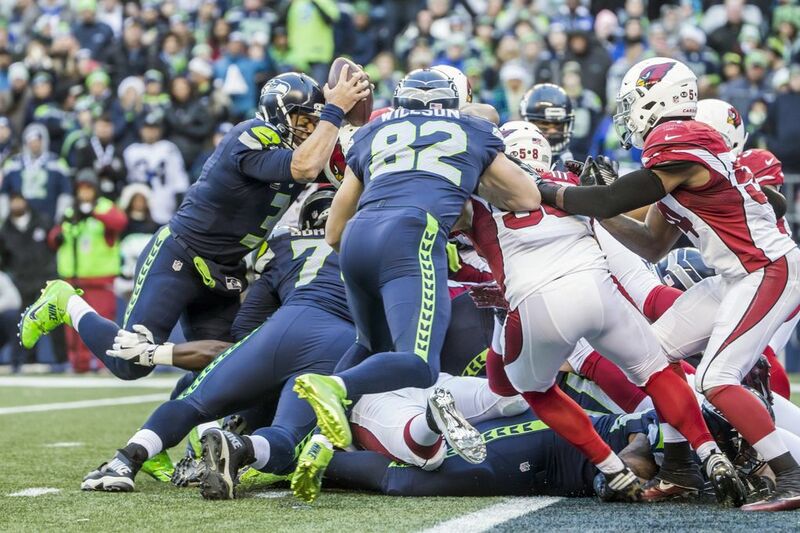 Teams know the Seahawks will abandon the running game if they get behind. And they get behind because teams also know they can sell out defending the pass, attacking the O-line to rush the passer without worrying about putting eight in the box. Opponents appear to be saying, ‘we’re prepared to give up yards in the running game because we don’t think you can sustain that side of your offense — plus you’ll give it up if things get rough’. If the Seahawks are going to get back to being a serious contender, this has to be addressed. They’ve regressed from a consistent top-five running offense to a team currently ranked #21 in the NFL (and they could fall further down the list depending on what happens in the remaining games over Christmas). 2017 #NFL Free Agency is going to be way more interesting than 2016, especially from the things I'm hearing early. Adversity brings change. Perhaps it’s Josina’s profile picture — a selfie with Ciara — that makes me wonder if she’s talking at least partly about the Seahawks here. This is a team that was built aggressively. Multiple roster moves. Big trades. Hosting players like Brandon Marshall on a seaplane. Star names, big splashes. When they lost that Super Bowl, they traded for Jimmy Graham a few weeks later. Facing an identity crisis on offense and a clear, festering problem that is an absent running game and a poorly performing offensive line — the idea that the Seahawks will cross their fingers and hope for the best seems unrealistic. In discussing free agency, Josina Anderson references adversity. That’s what the Seahawks are facing right now. “Adversity brings change“. The Seahawks have money to spend. Not as much as some others, but there’s some room. Do they go after someone like Ron Leary? Or Chance Warmack? Or Kevin Zeitler? Or Riley Reiff? That’s just four names to start with. Will they find a way to make a creative trade as we’ve seen them do in the past? Will Le’Veon Bell test free agency? It seems doubtful but right now he hasn’t got a contract for 2017. Or will the Seahawks focus on another area of need — interior pass rush — and make a play for Calais Campbell or Kawann Short or Dontari Poe? They haven’t really made splashes in free agency since 2013. They haven’t paid big money since 2011. This has a feel of 2011 to it — trying to establish something. Trying to get things going. They might be aggressive in the draft too. Whether it’s getting after someone like Garett Bolles to provide an injection of talent at tackle, one of the better interior D-line disruptors or a stud running back. Being aggressive doesn’t necessarily mean trading up — but it’s an option. Picking later in the first round hasn’t provided the Seahawks with a great draft pick in the Carroll/Scheider era. It feels like this team needs a spark, on top of a few solid acquisitions. They might even trade their #1 or #2 pick for a veteran. They’ve done it before. I'll def be back next year..
That was a nice little pre-Christmas pick-me-up after the Arizona game. Earl will be back. Probably more amped than ever before. They can focus on trying to acquire someone like Shalom Luani possibly in the middle rounds, instead of needing to go after one of the top safety’s in round one. Here’s a silver lining to focus on for now. If this team doesn’t find a spark to go on a great playoff run — we might be just a few weeks away from the most interesting Seahawks off-season in a long time. The Seahawks were certainly in a festive mood today. Atlanta and Detroit, Merry Christmas. With two wins against slumping opponents, the #2 seed would be Seattle’s. First round bye, home game in the divisional round. Now they’re left hoping the Saints upset the Falcons in Atlanta (not likely) and the Cowboys defeat the Lions on Boxing Day. It’s tempting to say it doesn’t really matter. The Seahawks are not playing well. Do they deserve the #2 seed? Over someone like Atlanta or Detroit? You don’t need me to tell you the answer. Two straight forward wins against Carolina and Los Angeles — both mired in dysfunction — didn’t mask anything. The defeats in Tampa Bay and Green Bay were ugly and this was a home clunker. This latest loss was arguably more galling than the ones in Green Bay or Tampa Bay. Seattle wasn’t facing an in-form opponent, red hot and making a run. They were at home. They controlled the #2 seed and just had to handle their business. And the rally at the end made for an unlikely slice of Christmas agony when Arizona marched downfield to kick a game winning field goal. All three units played poorly at various times. The offense didn’t function in the first half, largely due to the struggling O-line. Quick passes, read-option, running the ball, play action. They tried everything and nothing worked. The early turnover by Marcel Reece led to seven crucial points. The late, desperate comeback shouldn’t gloss over how inept the offense was in the first half. There shouldn’t be any grandstanding from Richard Sherman this week. The defense gave up the last minute drive to lose the game. They conceded 34 points overall and had the four-play touchdown drive straight after a Seattle score made it a three-point game. The pass rush continues to be streaky and it often feels like they can’t create pressure without blitzing the two linebackers. That’s despite having Michael Bennett, Cliff Avril and Frank Clark on the field. The special teams had another miserable day. A blocked kick, a blocked punt and a missed extra point. The two missed kicks cost four points — inevitably crucial given the margin of victory for Arizona. On the missed PAT the snap was slightly high and there was pressure off the edge. You still expect the kicker to make it. Questions have to be asked about Steven Hauschka given his disappointing season in a contract year and the decision to change long snappers. 1. The offensive line is not good enough. There are probably reasons for that — three of the five are starting for the first time this year, Justin Britt is a first year center and there’s a game of musical chairs at right tackle. But it was impossible for the offense to function in the first half with the way this O-line played. It’s hard to imagine this is a situation that will be improved by yet more inexperience (aka rookies) in 2017. You want to believe this unit will grow over time but it’s hard to invest faith in that happening after today. 2. They can’t run the ball how they want to and they know it. They came out throwing again today because they can’t establish the run. They’ve become thoroughly one dimensional and the old glass cannon theory was accurate once more today. Impact the pass and this offense shatters into pieces. They’re relying on a passing game and can’t pass protect. It’s not a good combination. Plus Thomas Rawls picked up his latest injury today (shoulder) and you have to ask — is he ever going to be able to stay healthy? 3. The Cardinals O-line has struggled for weeks, it’s banged up. The Seahawks didn’t exploit it at all. Arizona on the other hand had Seattle’s O-line for dinner. It’s a truly confusing and baffling situation given the talent in Seattle’s front seven. Why do they so infrequently smother opponents with pressure? Why are they so often dependant on the blitz? You can list other things too — but I focus on these three because they’re consistent. And they generally lead to other problems such as red zone woes, backup defensive backs getting burned for 80-yard scores, Russell Wilson missing throws he’s made for years and Jimmy Graham being a non-factor. This loss also didn’t just cost the Seahawks a straight path to the #2 seed, they also blew the opportunity to go unbeaten at home in the regular season. The Seahawks will be in the playoffs as the NFC West winners but sadly there aren’t many reasons to believe this will be a Championship season. It’s not unheard of for a team to stumble into the post season and catch fire. Yet it feels like there’s just too much work to do and not enough time to do it. This team needs an off-season to try and get right and get healthy. Unfortunately that might come sooner rather than later. I’ll end with this — some things are more important than football, like enjoying time with family and friends and having a nice Christmas. Try not to let this game ruin your holiday, enjoy yourself and I’ll see you in a few days. This week I give Kenny my views on where the Seahawks are at right now, the Sherman drama, some thoughts on possibly the most intriguing safety in the draft class and Leonard Fournette & Christian McCaffrey skipping their Bowl games. 1. I had the Seahawks trading out of the first round. They don’t own a fourth or fifth round pick, so such a scenario to acquire a day three selection is very possible. 2. You’ll notice I didn’t actually put the Seahawks with a prospect. There’s a reason for that, explained below. 3. I’m not entirely satisfied with the mock draft — but that’s testament to the quality of the players. I wanted to get the two Ohio State cornerbacks (Lattimore and Conley) into round one. I wanted to get Justin Evans into the first frame. I wanted to put Derek Barnett higher than #32. I couldn’t find a way this time — and that highlights how interesting this draft class is. So why no pick for the Seahawks? I’m battling with the direction they could go and rather than offer an opinion, I want yours. Is the big need here to make sure the running game is back to normal (by the Seahawks standards) in 2017? It certainly feels like teams are treating the offense differently these days. Less eight-man boxes, less focus on stopping the run. More pass rush. More feeling that if you stop Russell Wilson you can give the Seahawks a major offensive headache. Do they spend their first pick on a physical, tone-setting runner to compliment what they already have? Do they force teams to focus on the man in the backfield? Is that what’s missing? That Marshawn Lynch fear factor? That punishing inside runner? Is someone like D’Onta Foreman the answer or is it about further additions to the O-line? Bolles and Ramcyzk are off the board in this mock. Cam Robinson, to quote Bob McGinn’s source, is “talented but he gets lazy.” Is that a Seahawks O-liner? Is this a situation that can be addressed later on? Are you prepared to wait for a Chad Wheeler, Adam Bisnowaty type in the middle rounds and a running back like James Conner or Samaje Perine? That might make sense in terms of value — but if it doesn’t have the desired effect and the offense looks the same in 2017, will you rue not making a bigger splash? This mock assumes Vita Vea won’t declare. Elijah Qualls could be an option if he does turn pro. Derrick Nnadi, Chris Wormley, Caleb Brantley, Dalvin Tomlinson and others are still on the board. The Seahawks certainly lack an interior impacter. Someone who makes life easier for the EDGE guys and can move or impact the QB without necessarily racking up 10 sacks. Someone equally capable of being stout vs the run and holding a double team. For a while they’ve needed a classic three-technique but it might be difficult to find in this class. They’ve missed the 2013 and 2014 production of Clinton McDonald and Jordan Hill (6.5 sacks each). Filling that void would certainly help the defense get back to its best. Some will argue it’s Seattle’s biggest need. It might also be tough to find a really good inside/out rusher with a lot of the better options off the board in this mock. Yet the defense is still #2 in points conceded and they have a shot to be #1 in that category for an unprecedented fifth year in a row. If it wasn’t for the Green Bay meltdown they’d virtually have the title in the bag. And let’s not forget — that nightmare in Lambeau was inspired by a six-turnover performance on offense. Is the defense good enough to think much of the focus should be on the other side of the ball? With cap room to spend in 2017 this could be an area they look at in free agency. The Seahawks have a better record for finding veteran D-liners than they do drafting them. And yet along with safety and cornerback — D-line is probably the strength of the 2017 draft class. The addition of John Jenkins was an intriguing one, especially with Pete Carroll referencing the need to find more interior pass rush when he signed his contract. Are they looking for a massive big man who also provides some disruption? This class is rich in players like that. If they could get anywhere near Vita Vea they’d probably be all over it. They might settle for Qualls or Greg Gaines if they declare. There are plenty of alternatives too. On a side note I think they’ll really like this Husky team. Pettis, Ross, Mathis, the trio of D-liners, Jones, Baker, Coleman. Plus Shalom Luani at Washington State (more on him in a moment). The local guys might stick around. Obi Melifonwu is pretty unique. His size, range, athleticism and upside are ridiculous. There isn’t really anyone like him. That will appeal to a lot of teams including the Seahawks. He also might be a bit of a luxury that doesn’t really address the pressing issues on this team. Justin Evans is a hard-hitting, fun to watch safety. He’s not close to being as rangy as Earl though. He’s still a really good player. Budda Baker is the guy I think you can make the best case for in this scenario but he’s off the board. Earl Thomas’ threat to retire makes this a talking point. Assuming he comes back, taking a safety early seems a long shot. Especially with players like Shalom Luani possibly available later. And it’s worth noting — Kris Richard and Richard Sherman both stated in the last 24 hours they fully expect Thomas to continue playing. Luani is a really intriguing player. There is a little bit of Troy Polamalu to his game. Depending on how he performs at the combine — don’t be surprised if he starts to fly up many boards. If he’s around in rounds 2-3 for the Seahawks, he could be someone they take a long look at. He might sneak into the top-40. Maybe it’s time for Seattle to trade up to add another star on a reasonable contract? Doesn’t it feel like they need a boost? Are they going to get that picking in the same areas as the last four drafts? Jalen Ramsey, the #5 pick this year, has a cap hit of $7.4m in 2019. That’s the final year of his deal. If you move up for a top prospect you can get fantastic value. And maybe, just maybe, it’s time for this team to consider adding another impact player? Making another bold move? The risk is clear — if the player doesn’t work out, the investment is so rich it can set a franchise back considerably. Yet the Seahawks already have a good team. They survived the Percy Harvin bust. Even in this muddled, confusing 2016 season they’re on track to be the NFC’s #2 seed. They are seemingly better placed than most teams to make a splash. And if it worked — it could be the thing that puts them over the top again. I’ve never thought the Seahawks trading up was remotely likely in previous drafts. It’s still unlikely and would require a team being willing to cut a deal. But for the first time since 2008 — I think it’s at least worth discussing as an option. Yes it could be an expensive gamble. Yet an expected third round compensatory pick in 2017 would mean the Seahawks would still pick three times in the first three rounds if they trade up and spend their second round pick as well as a future first rounder plus change. The price tag might just be too rich. And that means collecting talent in the way they’ve done in the previous two drafts. If they were able to get an interior disruptor on defense, some safety help such as Luani, another talented running back and a right tackle — they would feel good about their situation. Plus they have the money to go and make at least one significant move in free agency. But just imagine having another stud like Fournette in that backfield, or someone like Allen rushing inside. Maybe it’s best not to think about how cool that would be. So what do you think? Let me know in the comments section.